Number 14, Aryka Chavez, prepares to bat. The Bakersfield College softball team won against Santa Barbara with a 2 to 1 score on Feb 22. Pitcher Kylee Fahy is the current winning pitcher with three hits and eight strikeouts. Haleigh Hutton helped bring the team to victory after the tough game against Santa Barbara. 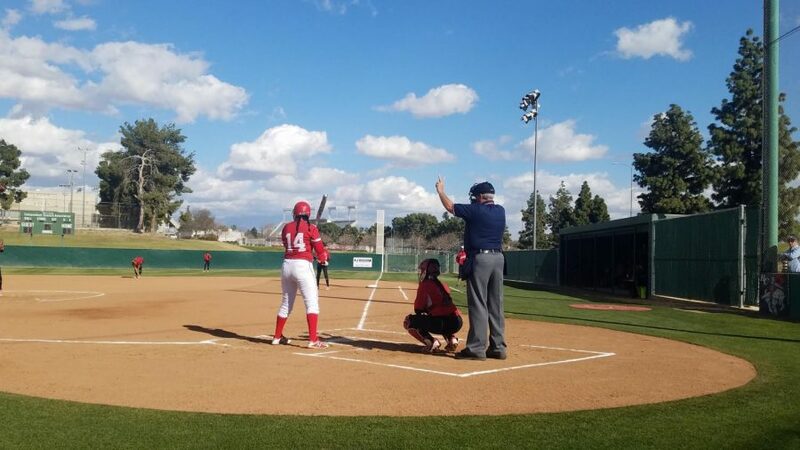 The next Gades softball home game is March 1 against Ventura and the next away game is March 3 at Porterville.